If you liked this show, you should follow HEALTHY VISION. Research shows that many contact lens wearers are significantly non-compliant in virtually all active steps involving soft contact lens wear, including hand washing, case hygiene, lens disinfection and following the recommended lens replacement schedule. 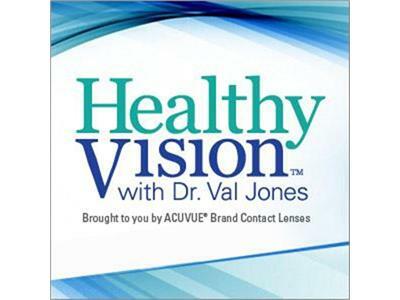 On the new edition of Healthy Vision™ with Dr. Val Jones, optometrists Jason Pingel and Christi Closson join Dr. Val to talk about how to get the full benefit of contact lens wear and reduce the chances of developing problems that could have an effect on your vision and the health of your eyes.